This blue turquoise is genuine. The color is a vibrant and rich green blue with some minor color variation. 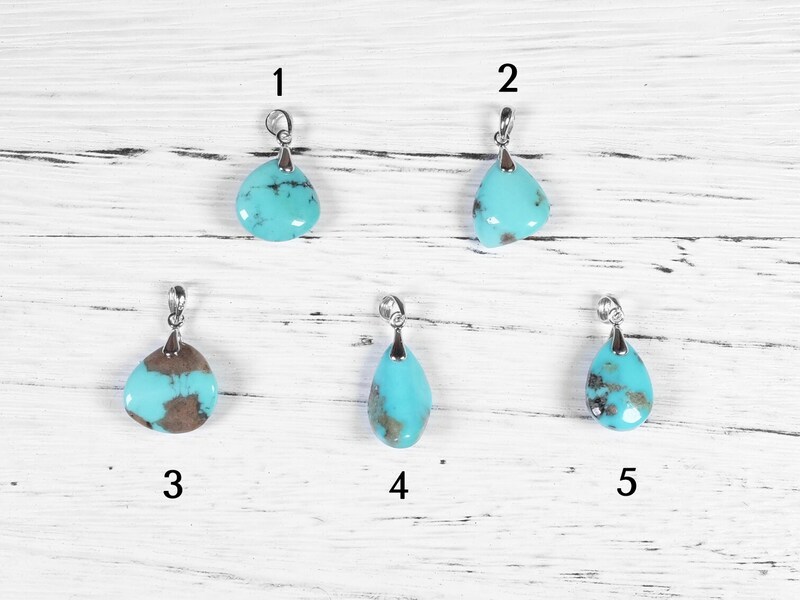 Color of turquoise comes from the presence of copper in the stone. 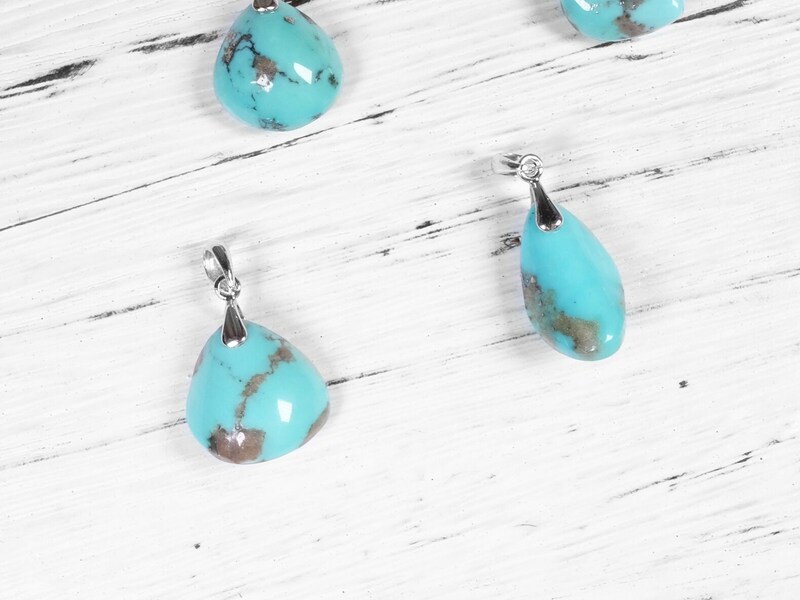 The color is natural and no color dye is used for this turquoise. Stabilization is applied to this turquoise. 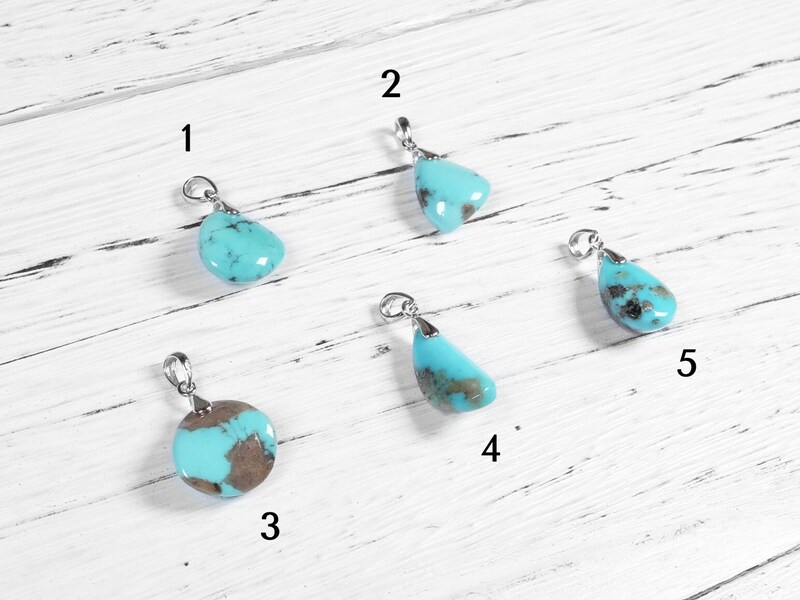 Above 90% of the turquoise in market is stabilized. 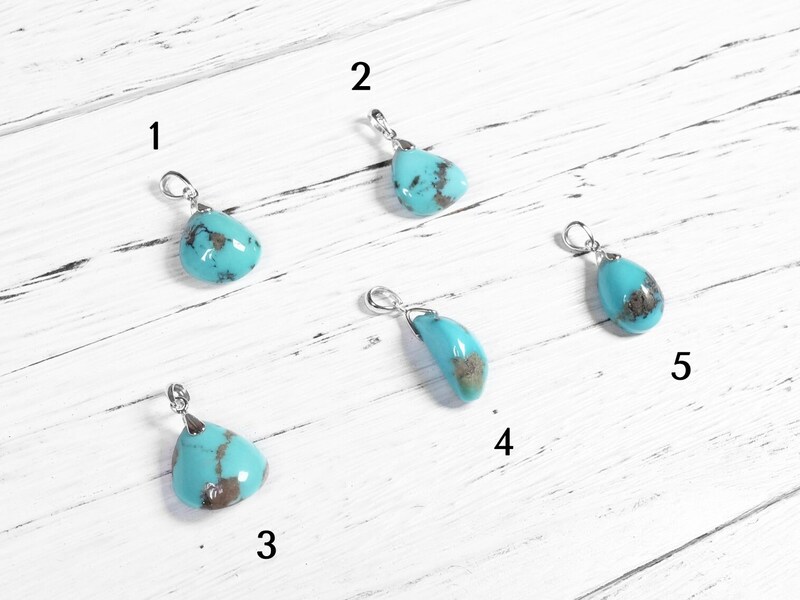 One of the reasons is that because turquoise is porous, unstabilized turquoise is prone to decolorization and fractures. The surface of this turquoise is a matte waxy luster. 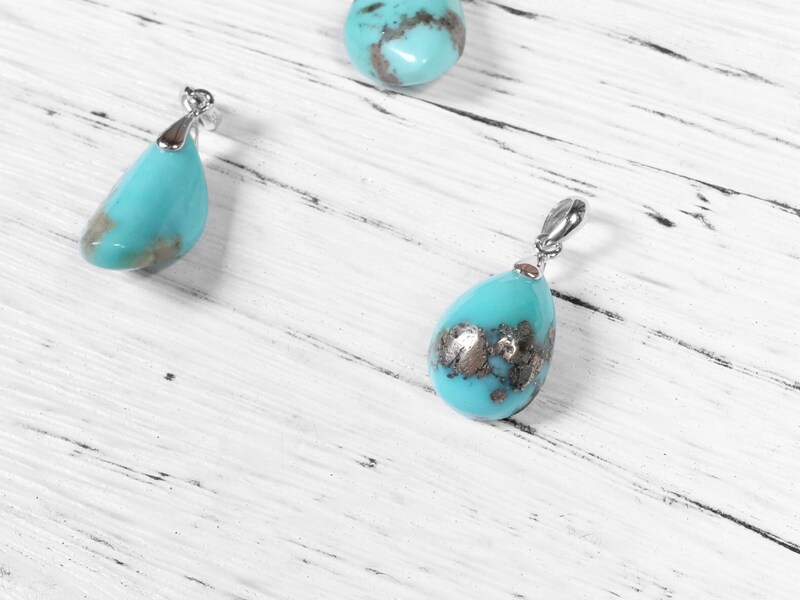 This turquoise gets its pattern from the host rock that turquoise grew with. The darker veins are natural and made of mainly iron oxide. Some very minor imperfection on the surface, but overall this genuine turquoise is very nice quality. 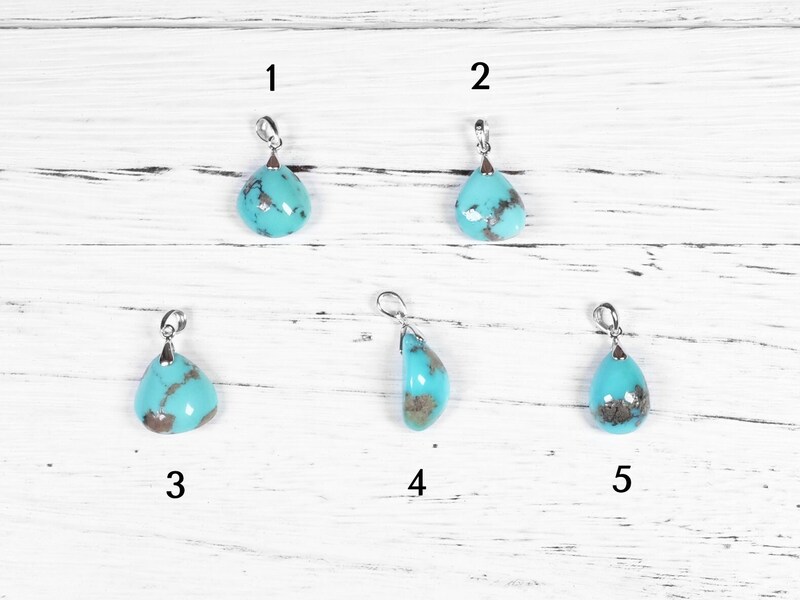 A 925 sterling silver hinge is used for the each turquoise. Please be aware of the dyed, imitation and fake turquoise in the market. There are quite a lot of them. One of the main one is blue dyed howlite. It has a uniform blue color with some brown webbing pattern. Another type is a uniformly colored reconstituted turquoise. 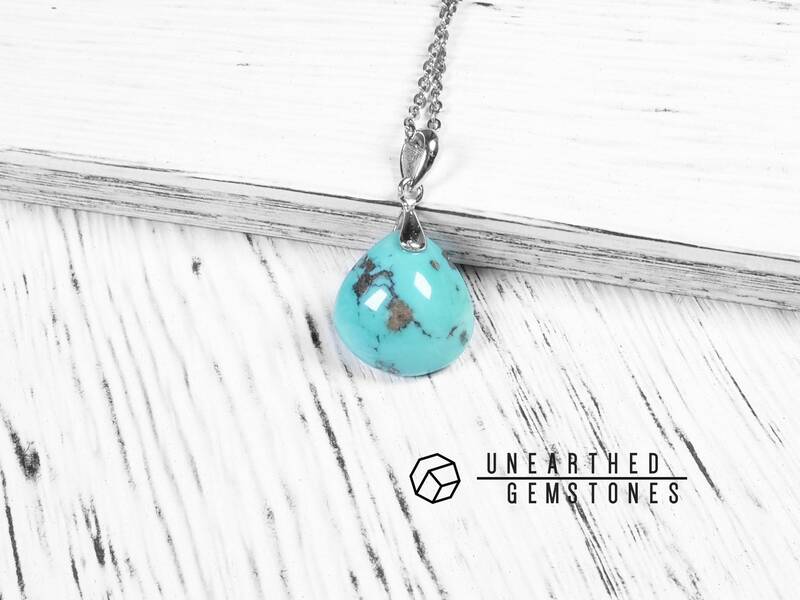 It uses crushed turquoise mixed with other materials like plastic and resin, and mold it into desired shapes. 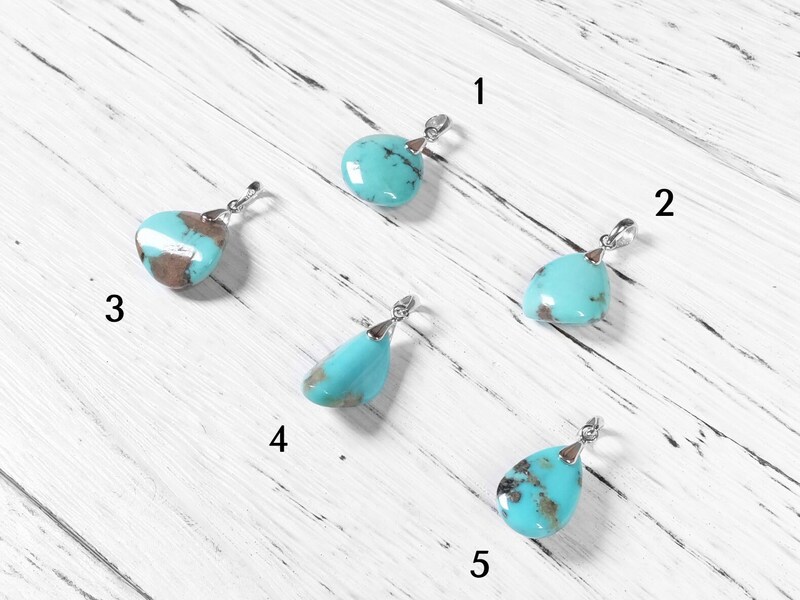 Some of this imitation looks like a variety of turquoise named 'sleeping beauty'. 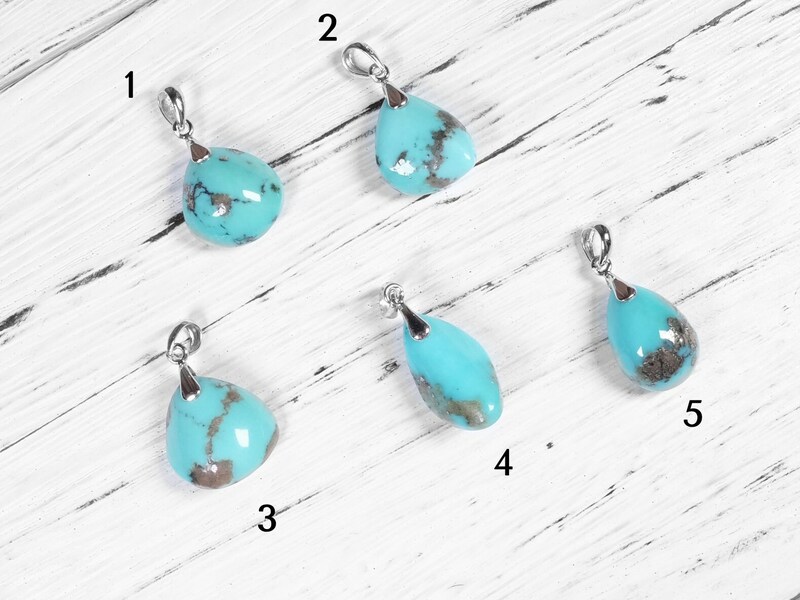 However, as turquoise is quite an expensive gemstone, the price will be a good indicator of genuine/fake turquoise. 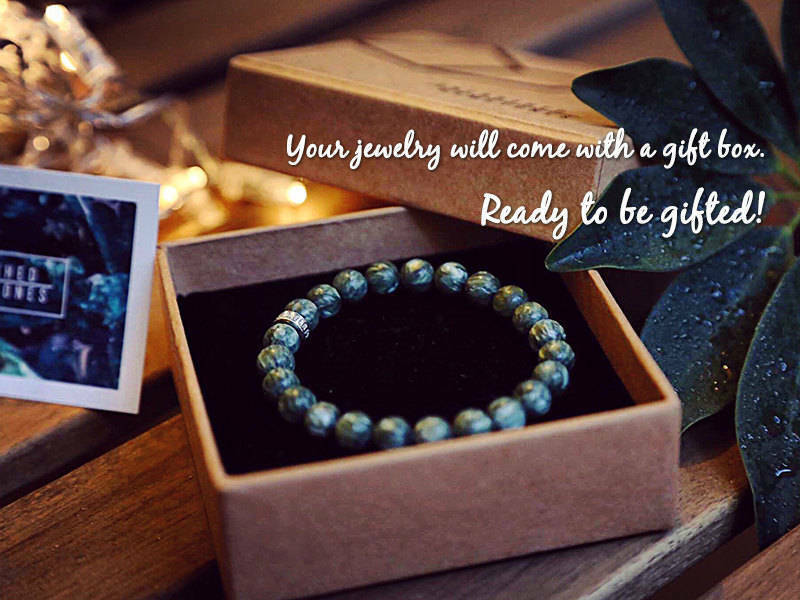 A good quality sleeping beauty turquoise bracelet can be priced at above US$1000 in trade shows. Perfect and exactly as described. Great store; owner explains what is a genuine turquoise and delivers! Very happy!